Jesus the Christ, by Del Parson. This is the common depiction of Jesus that I grew up with in Mormonism. Jesus is said to be the King of kings, and Lord of lords. He is the Creator (under the direction of God the Father). It is taught he was Jehovah (YHWH/Yahweh) of the Old Testament, being born in the flesh as Jesus. He is often called by the surname Christ, meaning “anointed one” from the Greek khrīstós, translated from the Hebrew mašīaḥ (messiah). He is considered the Only Begotten Son of God the Father in the flesh, and the Savior of all humanity. In Mormonism, he is one in purpose with the Father, but they are two separate beings. It is taught that he was not just a great man or teacher, but the promised Messiah of the Jews, who came to save all people from sin and death. He was purportedly born to the Virgin Mary. They say he shared God’s teachings with humanity, performed miracles, and lived a sinless life. It is said that he suffered for all humanity in the Garden of Gethsemane and on the cross to ransom us from our sins. This Atonement is a gift he gave us, which only he could give, to satisfy the demands of justice, paying for our transgressions. It is taught that we receive this gift by following him and his teachings. The church teaches that when he was crucified that he died, his body was buried in a tomb for three days, and then he came back to life or was resurrected, overcoming death for himself and all people. So we too will resurrect and achieve a permanent union of spirit and body. 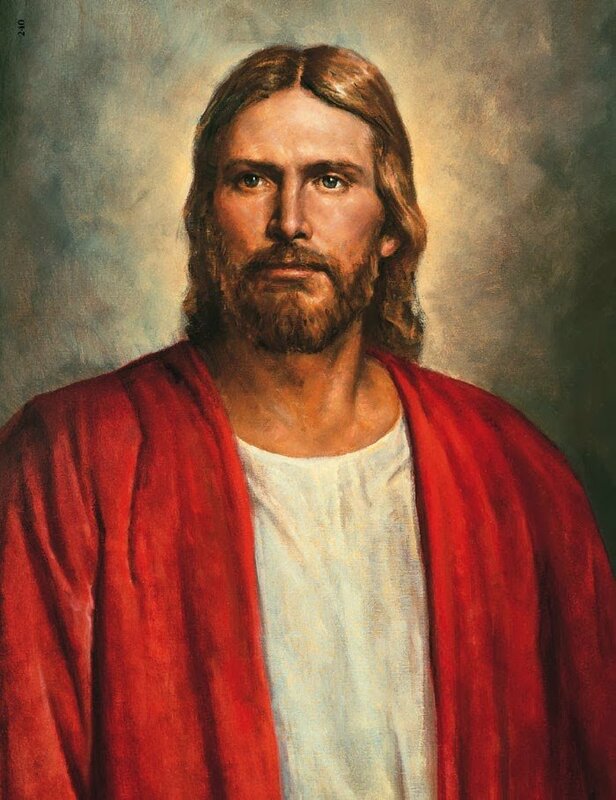 Joseph Smith claimed that Jesus appeared with God the Father in his First Vision in 1820, which he said was the beginning of his calling to be a prophet, restoring the true gospel, and organizing God’s true church and kingdom on the Earth again, which has the genuine priesthood authority and saving ordinances. Jesus is said to lead the church today through prophets and apostles who speak with him, and he will come again in a future day, the Second Coming, to live on Earth and judge humanity. I think there is much truth in this description, but I suggest the way we have interpreted it is in much need of revision. This traditional interpretation I think is failing, or has already failed for many people. It is incompatible with other knowledge we have about the nature of the world we live in, and cannot be reconciled with other approaches to spirituality. People are unable to reconcile how it could even be plausible in our modern-day global understanding of the world. And so many leave it entirely. How is it possible for a person to exist before they are born? In what way can they be said to exist before birth? How did such a person create the cosmos? It seems impossible for a human to create planets, solar systems, stars, etc. How was Jesus different than prior “anointed ones”? The title Christ, meaning “anointed,” was used long before Jesus was born, given to Israelite kings, high priests, and prophets (as the Hebrew Masiah/Mashiach/Messiah). How did Jesus perform miracles? Breaking nature’s laws is not possible, so the miracles often attributed to Jesus, such as turning water into wine, could not have actually happened. How could Jesus have been perfect? As humans we all make mistakes, have imperfections, faults, even the most saintly of people, so Jesus could not have lived a “sinless” life. How could Jesus have suffered for my errors? The penal substitutionary theory of atonement doesn’t make sense, that God would require that his most beloved son be tortured and killed in order to forgive all the rest of us of our sins. That just seems cruel and wrong. How does a human rise from the dead? A literal resurrection does not seem possible, that a person can die and come back to life three days later and live forever. It’s just not biologically possible. How could Jesus be alive today? It seems implausible that Jesus is still living today in a human body, somewhere in the universe (or perhaps outside of it), and came back to visit Joseph Smith in 1820, and still visits and talks to leaders of the church today. It seems that the historical Jesus lived and he died like most humans do, and he won’t be coming back in the future. These things just don’t seem to make sense to many people in our modern world. They can’t happen. There must be a different explanation, a different interpretation of these things, since it’s impossible that they literally happened as they are written and as tradition has accepted them. I do think there is an alternative interpretation, a reconstruction that I will suggest, one that makes more sense of the narratives in our modern world today, and is inclusive of many other religious and spiritual traditions. And it brings us much more into the picture, making us more responsible for our lives in the world and realizing our relationship to this universe we find ourselves living in. I think that the historical Jesus, Christians in general, and Joseph Smith in the early 19th century, were pointing to a similar reality that shows up in other traditions all around the world and throughout history. It seems to be pointing us towards the deepest or highest spiritual truth, the real reality, the true nature that humanity may realize within themself about themself. It takes many different forms in the various traditions. In Buddhism it may be known as Buddha-nature, or the Tathagata, the name the Buddha used to refer to himself, which is the deepest reality within all beings, the fundamental nature of all beings, what is most essential to a human being, the “Buddha” that is in all people. It may also be related to the Nirmanakaya concept of Mahayana Buddhism, the created body of the Buddha in time and space (similar to the “incarnation,” or the Word taking on “flesh”). In Hinduism I think it may be known as the Atman, the true Self within all beings, the real Self, the authentic Self, the essence of the individual, the soul that is in every human being that is identical with the highest reality, Brahman. It may be the Messiah of Judaism, the king, savior, and liberator of the Jewish people, who is said will gather the Jews as one, usher in peace, and rebuild the temple. In Islam it may be the al-Insān al-Kāmil or “Perfect Human” which is a person who has reached perfection, the complete person, the prototype human being, our true identity, pure consciousness, one with God, often used to describe the prophet Muhammad. In Taoism I think it may simply be called realizing the Tao within one’s self, which brings one into perfect harmony with the natural order, the ultimate essence of the human being and all of nature. In the Bahá’í Faith it may be known as the Manifestation of God, appearances of the Divine Spirit within people who perfectly reflect the divine nature in the world. All of these seem to be pointing to the ultimate Human, the greatest being a Human could be, the absolute Perfect, Complete, Holy, Divine, Real, Essence of what it is to be a true Human Being, the Perfect Human Being, the one type of Human Being that is the most prototypical, authentic, loving, peaceful, true, natural, integrated, whole being that a Human can be. It is the highest heights to which a Human can attain, the ideal, the consummate Human, the supreme Human, the God in the Human. I’m not saying that each of these traditions are describing the very same thing in their respective traditions, as they all have many different qualities that are expressed, yet they do seem to all be pointing to the highest superlative of what is means to be Human, even to be a Divine Human, one in whom the Divine or Reality is radically and thoroughly Present. If there is such a thing as a perfect Human in reality, then it is possible that all of these traditions could be pointing to that same reality, describing it in a multiplicity of ways. Jesus, by Joan Taylor. This is perhaps a more realistic and less idealized depiction of the historical Jesus. I think a key thing to note is that these patterns are repeated throughout the history of the world because they represent something deeply real about human nature, about the human condition, something that I think is true within each and every human being, even every sentient creature, and perhaps even every other seemingly inanimate thing as well. We are all striving to realize that within us which will bring us to perfection, to wholeness, to completion, to the most ideal and consummate expression of what we are or can be. We want to follow such “Christ” figures as Jesus, because they seem to represent that archetype which we ourselves are striving to become, that which will bring the greatest peace, love, joy, and ultimate satisfaction and fulfillment to our life. What we may not know at the outset is that this is found within us, not outside of us. It is a reality that is buried in the depths of our own being, our own psyche, our own nature, our own humanity, but which has been covered over by ego, by selfishness, by pride, by self-hatred, self-doubt, fear, shame, guilt, by trying to be our own independent “self,” separate from all others. When we surrender that ego, that psychological “self,” emptied in love for others and the whole of creation, I think we may come to realize the “Christ” in us, which is where it was all along and we never knew it. As Jesus himself prayed, he desired that we would become One in Him, and He in us, as he was One in the Father, and the Father in Him (John 17). I think this is the same spirituality that can be found in Hinduism, in discovering that one’s Atman in the self is One with Brahman, or the greatest Self, the Ultimate Reality. The pattern seems evident. I think it is a similar spirituality being taught in all the traditions, through many different symbols, and it is mystical in nature, a conscious union with and in the Divine, Reality, Truth, Being, God. So how might we reinterpret those problematic areas I noted above in a way that makes more sense today in this global spiritual framework? How might Jesus’s ministry have been real and truly spiritual, an example for us all to follow whether Christian or not? How might Joseph Smith’s revelations have contained truth which we have yet to reinterpret in the light of modern knowledge and understanding? If Jesus didn’t actually live as we have thought prior to his presumed birth by Mary, then how are we to think of his supposed “premortality”? What did he mean by “before Abraham was, I am” (John 8:58)? It seems to me that Jesus was identifying his true Self as in eternal union with the same God that the ancient Israelites and Hebrews knew. They were not separate, but one and the same, in a fundamental way. But I don’t think we should think of this in the way we usually do, of the historical Jesus in a human body living somewhere out in heaven alongside God, being a bearded God figure, and interacting with the Israelite prophets as such. No. The God that I think Jesus was in union with was the One that I described in my last post, the “Father” God that is in the totality of all creation, of all reality, that is that Creation, but which also transcends it and is the Source of it. The fundamental light-energy, essence, consciousness, being, that came together to form Jesus in his mortality existed prior to his mortality, merely in different form. These have always existed, even before Abraham. It could be said to be related to the first law of thermodynamics, which is that energy cannot be created or destroyed, but only changed from one form to another. As Einstein showed, even matter is just energy in a different form. So the body-mind that was Jesus had existence long before the the baby was born in Bethlehem. The God that is the universe itself had allowed itself to become that baby, to take on that form, that physicality. We call this the Incarnation. The implications of this is that we too are like Jesus in having not had a beginning when we were born, but have existed in different forms throughout the cosmos, and as the Cosmos since the very beginning. As the astrophysicist Carl Sagan once said, “we are a way for the cosmos to know itself.” The Cosmos has come together into the form you now know as you, but this is only a finite temporal representation of you. You are fundamentally much more than this body-mind that you think you are now in your mind (the constructed ego). Your energies existed before you were born, and will exist forever after you die, and they are continually circulated into your body from the Cosmos and out of it into the Cosmos even while you live. The iron elements that carry oxygen in the hemoglobin of your blood were fused together in the cores of stars that went supernova billions of years ago. This is how we should think of Jesus, and ourselves, in my view. We are not separate from the Cosmos, but are the Cosmos. We are One with Nature, as Nature manifesting Itself. We are not separate from it, but we are It. So when we say that Jesus created the Cosmos, that he was the YHWH/Yahweh/Jehovah that formed the worlds, or that he acted under the direction of the Father as Creator, or as in Mormonism that we too were perhaps part of that creating activity, I think these are all heavily symbolic pointers to the nature of which we all are, which is the Cosmos, and the potentials and laws and patterns and energies which bring these Cosmos together in an infinite variety of ways, one of which is the body-mind that we are now. The “God” that is the Universe came together as Jesus, just as it has come together as you and me. We are that Cosmos, that God, that continually reforms itself in an infinite multiplicity of forms, within Itself. God’s creations are never separate from God, just as the Cosmos’ creations are never separate from the Cosmos, but are the Cosmos, the way the Cosmos has materialized. What does it mean to be a “Christ”? Why was Jesus given this designation? Why were ancient Israelite kings, high priests, and prophets also likewise “anointed”? Like so many religious activities, rituals, sacraments, and expressions, the anointing was symbolic. It likely descended from more practical activities, such as helping protect the body, perfuming the body, keeping the body from sweating (like ancient deodorant), preserving dead bodies to keep them from smelling badly, as a sign of hospitality, health, vigor, vitality, strength, goodness, purity. This isn’t the place to recount the history of the anointing practice, but it seems that this may be where it emerged. It was performed on ancient Israelite kings, high priests, and prophets, as a sign to signal that they were pure, good, holy, right, healthy. These people were symbols of humans who had become pure, good, holy, strong in their lives, even leaders of the people, examples to be emulated, to be revered, to be followed and imitated, someone who would lead them into safety, security, protection, and liberation. 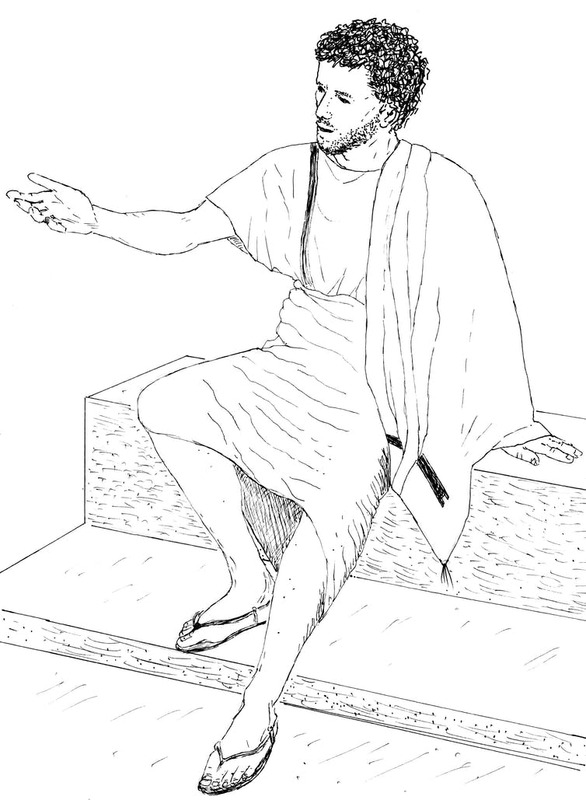 Later in Israelite history, when Judaism was becoming prominent, it seems to have taken on a more eschatological prophecy as being a future king, a future prophet, a future leader, who would be likewise “Anointed” (Messiah) as their former idealized leaders had been, and who would therefore “save” them from their troubles and enemies. It is in this sense that Jesus took on this title for Christians as the promised Messiah, the “Anointed One” or Christ, who had come to save the people. But it was not as the royal king, political ruler, or military general that Jesus came and “saved” people. He returned to the original meaning of the anointing, as one who was pure, good, holy, right, healthy, a pure Human Being, one who realized who he really was, his true nature in Reality, his eternal union with the Divine reality of the Cosmos. He contemplatively emptied himself of all ego-self in love for others, and in this came to know his Divine “Sonship” as an Incarnation of the Divine Cosmos, a manifestation of God, an emanation of the One, the Logos (or Word) becoming the Flesh of his flesh. He surrendered his “self,” and in so doing, realized who he really was beneath all “self.” He was not the only one to realize and embody this in history, but he is certainly one of the most prominent. We too may realize the “Christ” in us, as the Apostle Paul did (Galatians 2:20). It is far more likely that someone, perhaps Joseph, was Jesus’ real biological father, and Jesus was born just like every other boy is born. There was nothing miraculous about this, nothing supernatural, nothing extraordinary, except that birth itself is extraordinary! Babies are miraculous! Each and every one. Nature cannot be broken, so it seems that God or Reality cannot break nature either. It’s not possible for a human to perform magical actions which contravene nature, that break the way reality works, that are out of harmony with the natural order, or that are somehow beyond nature. Rather than being God-like, that would be quite contradictory of God, being in conflict with the Nature that is Itself. Were there no miracles then? Not in the way we think, it seems. The only kind of supernaturalism that may exist, in my view, is that which is beyond our current understanding, beyond our comprehension, perhaps especially transcending our human mind’s ability to comprehend. The human mind is limited, finite, and is not capable of comprehending all things. And I think there are very many things that are just like that. The neuroscientist philosopher Sam Harris recently called consciousness a “miracle,” that in his view consciousness may be the only thing worthy of the name, being something quite mysterious to us. There may be many areas of reality which we may not be able to comprehend in our human intellect, and these are the “miracles” of nature, of reality, of God, phenomena which transcend or surpass all human thought and understanding. Note that this is not a “God of the gaps” theology, finding God in those things which we don’t presently understand, but rather true miracles are those things which are beyond our mind’s capacity or ability to ever understand. They exceed or go beyond what the human mind is capable of ever conceiving. Did Jesus perform any miracles? It seems that many of these stories may have been mythologized versions of things he did in his life, written to indicate deeper spiritual realities, mystical meanings, and were not meant to be taken literally. The healing of the blind I think was not physical blindness but spiritual blindness, to seeing the true nature of reality and of the self. The raising the dead I think was not from physical death, but spiritual death, a death of ego-self and a rebirth in “Christ” nature. Healing the sick I think may also point to spiritual sickness, being mentally ill, being tormented by the ego-mind, the psychological “self,” which can have harmful physical effects on the body and on life. Jesus helped to heal their minds, their consciousness, which may have consequently healed their bodies in some cases, bringing them a renewed reinvigorated sense of life. I do think that physical touch and communal prayer have deep healing effects, because of the love and care and support it shows to the person; it helps the sick person believe, or have “faith” in their mind, that they can be healed, and this can help their body to heal, as the placebo effect has shown. It seems to me that in this way Jesus worked in harmony with Nature, not out of harmony or in contravention of it. I don’t think that Jesus, the historical human, was perfect in the sense of not having any human imperfections. It seems that Jesus readily admits this. In the New Testament the rich young man calls Jesus “Good Master,” and Jesus seems to correct him, “Why do you call me good [Greek ἀγαθός, agathos]? No one is good–except God alone” (Mark 10:17-18; Luke 18:18-19; Matthew 19:16-17). Jesus seems to be refuting that title that he was agathos: a good, honorable, honest, upright, moral, noble, or pure person. Of course, some might say that Jesus was God, so that would mean he was good after all, but then why would Jesus make the distinction between himself (not good) and God (good)? It seems to me that Jesus was just like the rest of us in our human nature, and grew up with many errors, misdeeds, problems, misspeaks, difficulties, conflicts, etc. If he didn’t, he wouldn’t be human, and therefore would not be of the same nature as we are. Was there anything “perfect” about him? Yes, I think Jesus came to realize the purity of the true Self within him, the “Christ” nature, that innocent, pure, holy, complete, fulfilled, peaceful, perfect Divine being that was his essential nature, the most basic and fundamental truth of his being a human being, and he came to reflect this more and more in his later ministry. He came to embody that true nature. He let go of his ego-self, his will to want things only for himself, for his benefit, for his advantage, for his use, for his protection, for his aggrandizement, for him alone, that “self” that causes us to harm ourselves and others and which separates us from God, which causes our “imperfection.” He let all of that go, becoming completely “self”-less, emptying himself (kenosis) of his own individual independent isolated “self” so that he could become a true reflection of the reality of the world, of nature, of all beings, of all humans, of what is most real in human nature in relation to Nature, the One true Being. This “Christ” nature is what he realized, which is at the base of all humans, it is the innocence with which we are all born and to which we can return, this purity of being, of love, of peace, of humility, of seeing Self in the “other,” of wholeness in Reality. It seems to me that Jesus did not suffer and die for the errors of everyone else in history. Then what was the suffering? What is the Atonement? I think Jesus realized his fundamental unity with all people, with all beings, that he was not essentially separate from them. And so when they suffered, so did he. He mourned with those who mourned, because they were One with him. He had compassion for them, or “suffered with” them. He felt their pains as his own, not because they were somehow transferred to him to suffer for them, but because he felt a tremendous solidarity with them. Those who suffered were his greater Self in God suffering, and he empathized with them on the deepest level possible. All the misery, the abuse, the taking advantage, the injustice, the hate, the violence, the killing, the torture, the pain, the sickness, the deformity, the depression, the sadness, the tears, the death, he felt these things as if they were within his own Self, because he felt so at-one (atone) with all beings, all humans, his fellowmen. They were he, and he was them. They were One. He did not think of himself as separate from them, but as the very same Being as they were. Their pain was his pain too, and he did everything in his power to relieve them of their suffering. It is this kind of compassion, this kind of egoless suffering together with all others, that brought him to the depths of humanity, that put the weight of the suffering world on his shoulders, but it also meant joy beyond joys in the exalting nature of Love that was shown to all people through him. Inasmuch as he helped relieve others suffering, his suffering was alleviated. Inasmuch as he brought joy to others, he rejoiced. Inasmuch as he healed others’ pain, he was healed. His at-one-ment was in becoming One with all other people, with all human beings, with all of humanity, with all sentient creatures, with all of creation, with the whole world, One with the Cosmos, One with God. And it is this very same Atonement that we may all participate in as we follow Jesus in becoming selfless and loving in solidarity with all our fellow human beings. This atonement happens not just in loving service, but through spiritual practices such as meditation and centering prayer, which help us consciously let go of ego thoughts, the rampant discursive mind, which gradually allows us to see and know the truth of our unitary being, the oneness, the nonduality, the deep value, the hidden preciousness, the infinite worth and treasure of our being and all beings in Life, our “Christ” nature in God, at-one with Reality. How does this satisfy the “demands of justice” and reconcile us with God? By transcending that which appears to separate us from God in the first place and therefore causes us to “Fall” and commit “sin”—our constructed sense of “self” in consciousness. When the ego is transcended, so are all of its “sins,” what we might call forgiveness or a remission of sins, and we realize our essential purity, our original blessing, our Divine nature in God, once more. We “sacrifice” our ego-self, the ego-self must “die” from consciousness, and in so doing we realize the “Christ” in us, which immediately brings about our redemption and salvation (Alma 34:31). We are “saved” from our ego-self and its sins in “Christ” consciousness. Following Jesus, we offer up as a sacrifice our conscious “self,” which “dies” from our awareness, and in that very moment we are redeemed from the “Fall” and reconciled with God, being brought back into the Presence of Reality, of Truth, of Goodness, of Holiness (Wholeness). Because “Christ” is of the very same nature in all beings, it is this One Being that performs this Grace within us. Our ego-self does not do it to itself, of its own “works,” but rather it eventually allows itself to fall away from consciousness. I’ve written about the resurrection several times before. I don’t think it is quite like what we typically think it is. I think the stories of Jesus dying, being buried three days, and coming back to life three days later are a mythologization of the archetypes that were present in Jesus’ life, and in all of our lives. I’m going to share my ideas about the resurrection more thoroughly in a future post in this series, since the resurrection seems to be one of the primary sticking points of Christianity, the elephant in the room, the pivotal event upon which many think Christianity either is valid or falls. What I will suggest here now is that I think Jesus’ realization of his “Christ” nature and the embodiment of it in his life was his “resurrection.” It was his realization of his oneness in God, of the eternal union of spirit and body, of mind and matter, of consciousness and the materialization of the Cosmos, that they are two sides of one coin, dualities that are ultimately not two but One. It is all God, and he knew we were manifestations of that Divine Being. “Ye are Gods!” (John 10:34). We too may be so “resurrected” into a Divine consciousness while living, reborn, born again, awakened to our true Divine nature, our “Christ” nature. It does not mean that our ego-personality and body will one day rise again after death, in my view, but rather that we consciously come to identify with the Cosmos itself, which is continually being “resurrected” within itself, brought to Life, eternally. This is “eternal life.” I think this is also related to reincarnation in the east. I don’t think the historical Jesus lives in a human body in outer space somewhere today. That makes no sense to me, nor to many others in our modern world, just as it doesn’t make sense for God the Father. What does live in outer space? That “Christ” nature. It’s not only in outer space, but it saturates all spacetime. It is the original, pure, true, essential nature of everything that is, its real reality, the incarnation of the whole Cosmos in materiality. And I suggest we can come to realize this within ourselves, that it is also our true nature, and this is the highest salvation, the greatest liberation, the purest Love, the most exalting realization, the most awakening enlightening experience, the deepest truth of our very own Being in God, in Truth, in Love, in Reality, in Nature. So what did the 14-year-old Joseph Smith experience that early spring morning in 1820 in a grove of trees near his home in upstate New York, what is commonly called the “First Vision”? If he didn’t literally see a physical Jesus and God the Father as two human bodies floating in the air above him (although his mind may have constructed that visual vision in his mind’s eye), then what might he have experienced? I have suggested previously that there are clues in Joseph’s narrative that point to him possibly experiencing “Christ” in and as his true Self. His mind seemed to be “taken away” from his normal sense of self and his natural surroundings into the “heavenly vision,” and then returned to “find himself” laying on his back afterwards. It seems to me like he had an ego transcendence experience in consciousness, wherein he realized his “Christ” nature, and this was deeply loving, light, transcendent, good, pure, joy, and One. Joseph’s “Jesus” nature, or egoic separate human nature in consciousness, was “crucified” in that “dark night” that immediately preceded the First Vision, where he expresses that he felt his “self” being utterly destroyed in a powerful darkness, thick darkness, dark clouds. I think his ego-self was actually temporarily surrendered, he “abandoned himself” and “died” in consciousness, and that is the moment when the Light appeared in his mind’s eye. He saw his Divine nature, the Divine nature of Consciousness, his pure Being. The “sins” of his “separate self” or ego were completely let go and transcended in a sense of total forgiveness, a total purification of “self,” a “remission of sins.” In that sinless and unified state, he was “Christ.” His being was One in God’s Being. In that Divine state of consciousness he realized that what the religions were teaching were all mistaken, that they speak about God with their lips in words, but their hearts were far from God. Joseph’s “heart” was now directly in God’s bosom, in a purified state of Consciousness, so he experienced God himself, as himself, in himself. He had a classic mystical experience of union in God, in my view. So where did the visuals of Jesus and God come from? As with all mystical experiences, the mind tries to conceptualize what actually happened after the fact. It tries to make sense of it. It tries to put words, symbols, and forms to it. And usually all it has are the words, symbols, and forms to which the mystic has been previously conditioned, which are already within the mind of the mystic. Joseph described his mystical experience in terms that were particularly Christian, because those were the terms with which he was most familiar, and with which his contemporaries and community were most familiar. I don’t think he consciously knew he was doing this, per se, but I think his mind was engaged in that reification, that meaning-making, of an experience that was fundamentally “indescribable” and “defied all description,” as he noted himself. His mind put the totally transcendent and abstract experience into concrete symbols, forms, bodies, things, beings, physical entities that other people could readily understand. All mystics do this, and all mystics use the language and forms and ideas that they are familiar with to do it, even as I am doing now. It’s all they can do to try and communicate something of their experiences. Some are more aware of this meaning-making process than others. It seems that Joseph may have been vaguely aware that he was engaged in this, since his accounts changed and shifted in various ways each time he told it, sometimes in significant ways. He was actively putting familiar words and concepts to a wordless or ineffable experience of God. Unfortunately, most of Christianity today seems to have created a cult of personality around Jesus, turning him into an idol, a deity to be worshiped, rather than an exemplary human being to be emulated and imitated in all his realizations and actions. His ministry was not to be a God to all other people, telling them that he alone was God, but rather that they were all God, each and every one, and they could all come to know this within themselves. They could come into the “Kingdom of God” here and now, this Divine and heavenly state of consciousness, and in that state they would be able to “see God,” “inherit the Earth” as their own Being, realize they are “Children of God” or manifestations of God, realize infinite peace and comfort (“Millennium”), be mercifully absolved of every egoic guilt and shame (redemption), and know directly their Oneness in God, in Reality, in Truth, in the Cosmos. They could realize the “Christ.” And this would lead to a life of Love and compassion for all people and beings. What do you think? Could Jesus have done those things that Christianity and Mormonism traditionally attribute to him? In what way? How do you interpret these things? How does my interpretation possibly help you understand Jesus a bit better in our modern world? How might this help you experience “Christ,” the “Kingdom of God,” the “Second Coming,” or the “Millennium” while you live? What difficulties do you still see in this reconstruction and reinterpretation of Jesus as compared to the traditional narratives? Where do you disagree? Please share your thoughts and ideas with us either here in the comments or on Facebook. I look forward to discussing it with you. Bryce, I am deeply grateful for this series of posts, particularly this one. All I can do is sit here thinking “Wow!” It resonates so deeply yet so simply. The ego makes “salvation” and “eternal life” so divisive, ridiculously complicated, and impossible save for the super achievers. Your explanations were so full of depth, simplicity, and pure love. It just fills me with light. Thank you….truly, thank you. Amy, thank you for your very kind words. I’m happy to know this means so much to you. It makes it all worth it for me. It is so simple, and it is that simplicity that veils it. Of course, don’t take my word for it. Be sure to find out for yourself if what I’m saying is good and right. Realize it in yourself. That is the greatest blessing in Life, to know your Life, to know “Christ” in you. For over 4 years I have been waiting for and expecting my own “First Vision” mystical experience, but it has not come. Everything you say makes sense to my soul, I eat it up! It’s like a quenching of my thirst, and yet I am aware I lack the actual experience of knowing for myself. I realize that can’t be manipulated in any way. I do try to meditate and remain open and forgive often. Could it be that someone like me, who sincerely desires the experience outside of ego may just have to be content to wait for it to happen at death? Keep feasting on good words and it will come. One day it will open up as a simple and beautiful and peaceful Grace, a Peace which surpasses all understanding. You will simply know, and you won’t know how you know what you know. You won’t even know exactly “what” you know, just that you know, and this will be a Comfort to your soul. As I learn and experience more, I tend to think that radical mystical experiences may not happen to everyone, although that might change as we understand this consciousness better. Personally, I have never “seen a Light” visually, although I have had tremendous Illuminations of mind and heart. I think these “Illuminations” of consciousness can happen in a variety of ways, some more gradual than others, some more visual than others. Waiting and hoping and trusting and continually praying/meditating, doing good works in love, emptying yourself in Love, these are what make up faith. It will happen, if not during life, then as death comes near. You will know. I loved Richard Rohr’s thoughts that he shared this past week from Kathleen Singh’s book The Grace in Dying. It seems the ego naturally relaxes its grip as death nears, and the Light and Love of God shine through. We are not a drop in an ocean of being. Oneness with God entails experiencing the full embrace of the sacred Other. Maximum joy and divinity is found in the total union (of heart and mind) of disparate entities with God. When they are unified they may be categorized as “one.” But that doesn’t mean that they lose their basic individual identities. Without the sacred Other there is no object of love. And without love there is no joy. And without joy there is no purpose. And without purpose there is no meaning. And without meaning there is no life–there is only death. Jesus came to both provide and show the way to unification with the Father. They, the Father and the Son, are real and distinct individual beings who love both each other and us. And their greatest desire is for all, who will, to be unified with them and share in that love that arises from a total embrace of each other and all who will come to them. Hi Jack. Thank you for sharing your thoughts and perspective, and adding your voice to this discussion. It seems to me that a total union with God would mean that you are not essentially disparate anymore. That would be a contradiction of terms. Disparate means essentially different, not united or one. In my view, there is a paradox in this mystical union with God. Even though we continue to live our lives in individual bodies, we identify our spirits/souls as absolutely One in God, without any separation whatsoever. We recognize that God contains a multiplicity within itself, at least at the everyday level of consciousness and perception. But at the level of God, it is all seen as One unified Being, One Body, and all people, all life, all of creation is One in God. Pingback: Is God a Male Human, or Two Males, or maybe Three? Do I hear Four? Or is it More? – Thy Mind, O Human!